UW CSE and the Seattle region have emerged as leaders in the burgeoning field of data science. 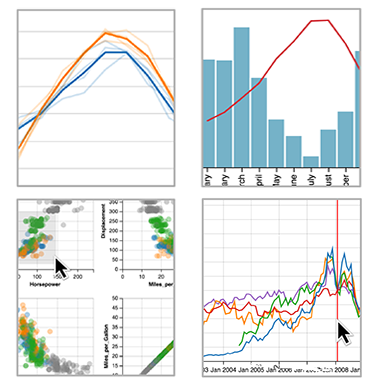 As every field becomes more data-driven, UW CSE is at the forefront of novel data management techniques and visualization tools to fuel a new wave of scientific discovery and industry breakthroughs. UW CSE's Database Group aims to broaden the focus of database and data management techniques beyond their traditional scope. Our researchers conduct both theoretical and systems research in big data management, cloud computing, data pricing, probabilistic databases, stream processing, sensor-based monitoring, databases and the web, XML, data management for ubiquitous computing, data integration, and data mining. The group frequently works with colleagues in Artificial Intelligence, Systems, and Ubiquitous Computing, as well as researchers in other disciplines across the campus. For more information on our data science research and expertise, read about UW CSE's campus-wide leadership in data science and the activities of the eScience Institute. Professor Alvin Cheung is featured in ASCR Discovery for his work on verified lifting and stencil programming. UW Interactive Data Lab earns Best Paper at InfoVis 2016 for Vega-Lite. Professor Magda Balazinska and Ph.D. alum Luna Dong are honored for contributions to data management research at VLDB 2016. Ph.D. student Maaz Ahmad earns the inaugural Best Student Paper Award at SYNT 2016 for "Leveraging Parallel Data Processing Frameworks with Verified Lifting." Ph.D. alum Paris Koutris and professor Alvin Cheung are recognized by ACM SIGMOD with the Jim Gray Doctoral Dissertation Award and Honorable Mention. Professor Alvin Cheung receives a U.S. Department of Energy Early Career Research Award for "Using Verified Lifting to Optimize Legacy Stencil Codes." UW CSE helps launch a new professional master's program in data science. Ph.D. alum Chris Ré wins a MacArthur "Genius" Award. UW creates a Ph.D. option in Advanced Data Science directed by professor Magda Balazinska. Professor and Trifacta co-founder Jeffrey Heer delivers keynote addresses on the future of data visualization at OpenVis Conf and Strata + Hadoop World.